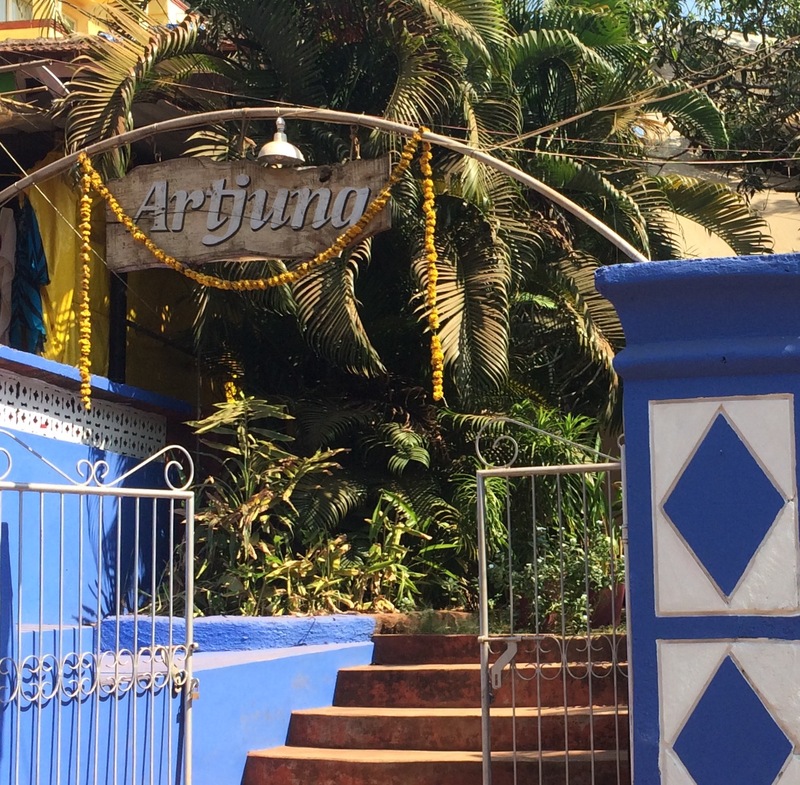 Artjuna Garden Cafe, is a delightful place set in an old Portuguese mansion in Anjuna, and it's given me with some rather strong food memories! 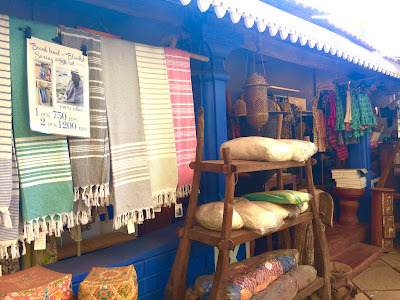 Moshe, an Israeli along with his wife Anastasia, from Germany are doing a great job with the cafe and they also have a lifestyle shop in the cafe that sells their beautiful handmade leather bags, belts and accessories as well as apparel. The bright marigold garlands at the entrance and the charming statue of Lord Ganesh lend a unique charm and a cheerful ambiance. Its a kid-friendly place and has a play zone too so that is definitely an added bonus here. As you can see from the name, artjuna serves up art in many different forms - from their beautiful handmade products to the workshops on dance and yoga that happen here and even hosting art exhibitions of local artists; and of course their delicious Middle East inspired cuisine too, an art no doubt! What we love about this place is the relaxed ambiance, where you can just sit for hours as you catch up with your friends or maybe just brainstorming for a burst of creative inspiration! We walked in looking for a healthy brunch and ended up stuffing quite a lot of 'healthy' calories and walked away with blissful expressions! 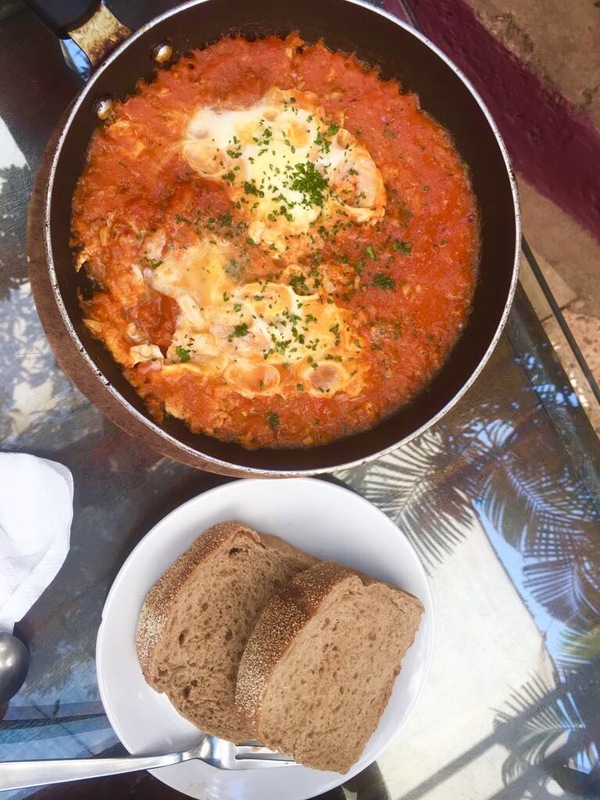 Artjuna primarily serves up Middle Eastern and Mediterranean inspired cuisine and they rely on healthy and delicious food. well, these two terms might not add up quite well in most instances but in the case of artjuna, they do! 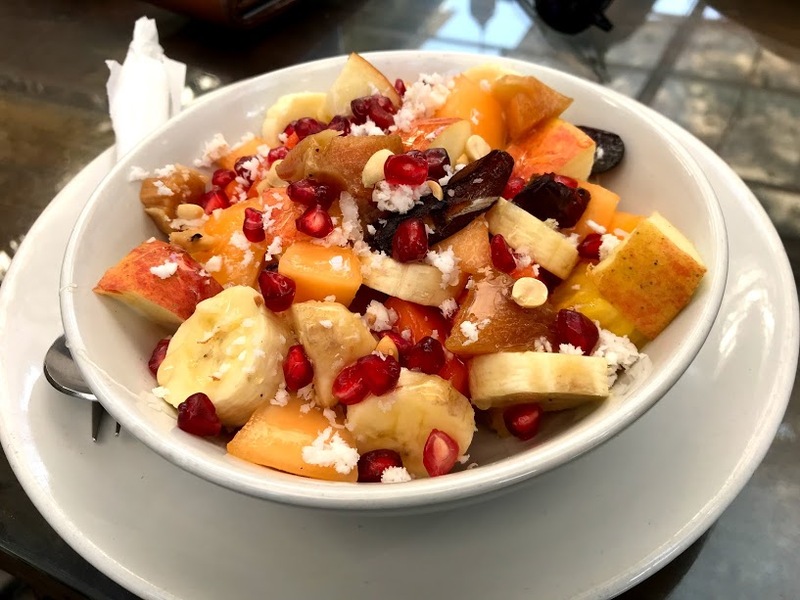 As I said, we went in for some healthy food and hence started off with a vibrant bowl of fruit salad and a mango-banana smoothie which were absolutely refreshing. The sandwiches too are amazing, especially the avocado sandwich and the greek sandwich, with the flavor of olives and feta cheese in every bite! Try the Artjuna toast or the mozzarella sandwich if you are in the mood for some cheese! Another favorite here was the falafel plate which disappeared super fast. 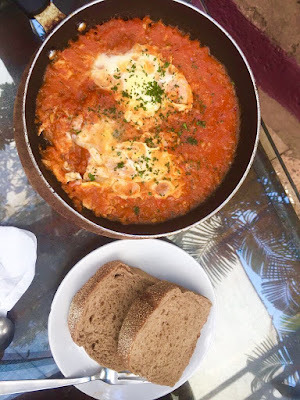 We tried their shakshuka too and it was definitely as good as it looked! Their waffles and pancakes are quite good if you want a 'sweet' finish to your healty meal! 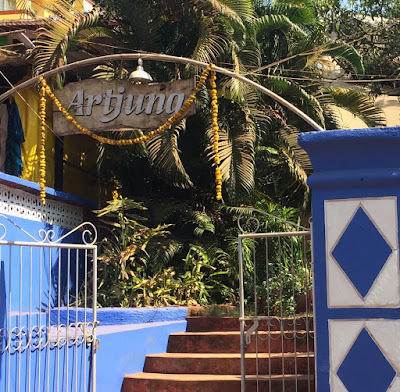 This place is a vegetarian friendly one with so many dishes that are either vegetarian or vegan; and you can just gobble up all those calories guilt free, because hey, they are all healthy! 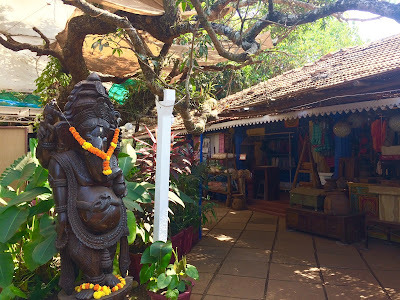 So the next time you are in north Goa and hunting for a breakfast place, make sure you visit this lovely garden cafe and come back with a happy tummy and maybe a couple of trinkets too from their shop.